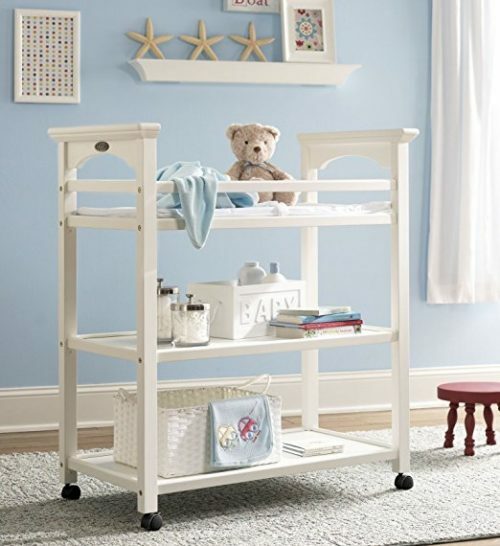 The Graco Changing Table (above, left) is a great addition to any baby nursery. It is available in Cherry, Espresso, and Pebble Grey. It’s no secret as a new parent you’re going to be changing a TON of diapers. And by a ton, we literally mean thousands of nappies in the first year alone. A newborn can easily go through ten diapers a day, which is why it’s crucial to have a dedicated space in your home for changing baby. 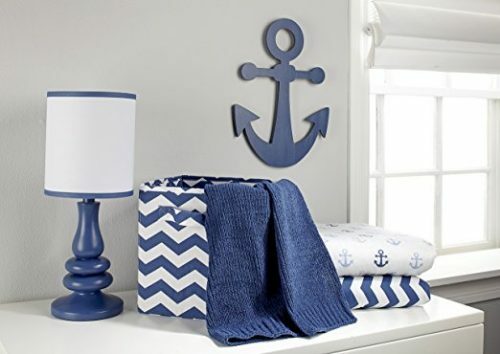 The best baby changing table is going to be sturdy in construction, with guardrails to prevent rollovers, a safety strap to secure baby during changing, and include either drawers or shelves for ample storage. A dresser can double as a changing table with proper accessories. We’ve explained these features in our reviews of baby changing table dressers. Below is a chart comparing the best baby changing tables as well as a more in-depth look at some accessories needed for an efficient and (hopefully) mess-free changing experience. We love this Espresso Changing Table by Graco. 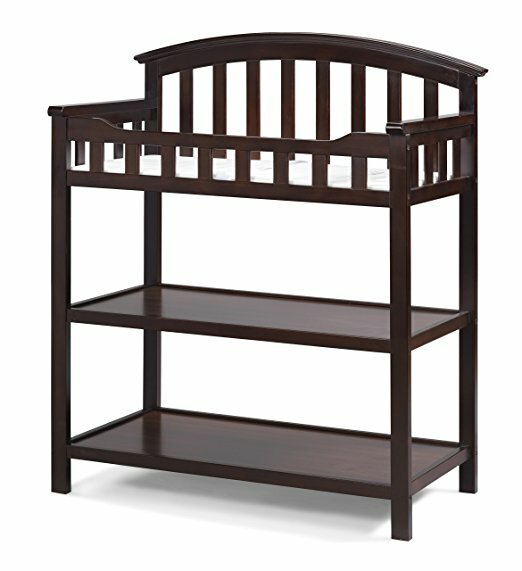 It features sturdy wood construction, and includes a water-resistant changing pad with safety strap. 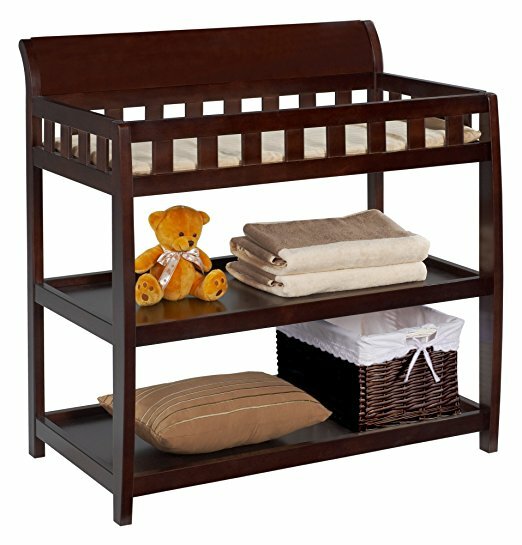 In addition, the changing table has two storage shelves, perfect for housing all the baby changing table accessories parents need. 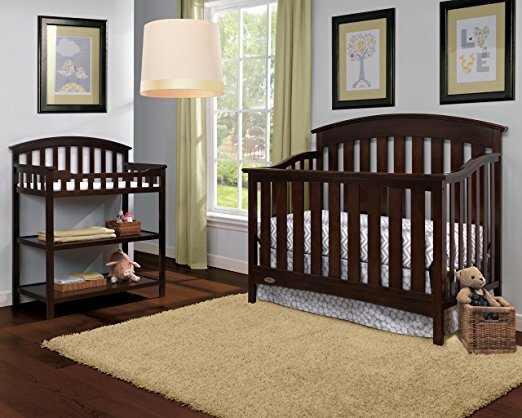 It’s simplistic, study design pairs great with any of the available Graco baby crib sets. 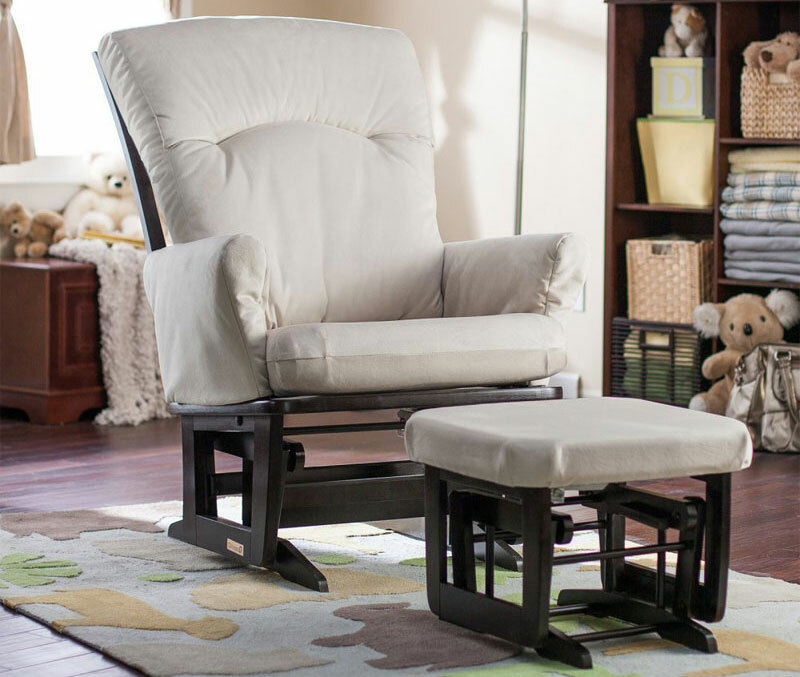 Check out our reviews for the Graco collection on our cheap nursery furniture sets page for additional information. 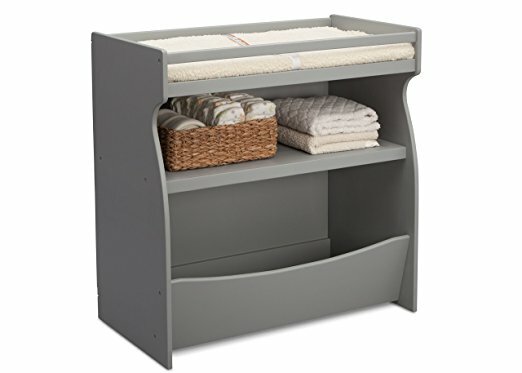 This changing table is also available in Cherry and Pebble Grey allowing you to choose a table that matches your ideal nursery color scheme. This Delta 2-In-1 Changing Table is another favorite because it also doubles as a storage unit. 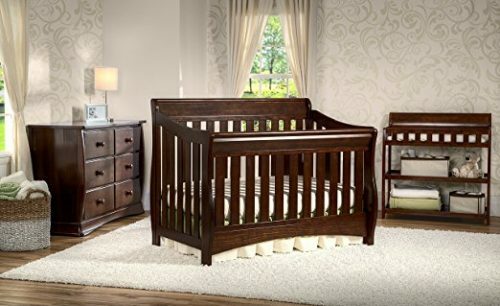 Whether you need a place to keep baby’s toys or extra blankets for feeding time, this unit guarantees to meet your changing needs as baby grows. Though it includes a changing pad and safety straps to secure baby during changing, we recommend purchasing wall-mounted furniture straps to prevent furniture from toppling over. This combo unit is JPMA certified to meet or exceed all safety standards set by the CPSC & ASTM, furthering its reputation as one of the best baby changing tables. It also available in Dark Chocolate and White. The third best baby changing table is the Bentley Changing Table by Delta. 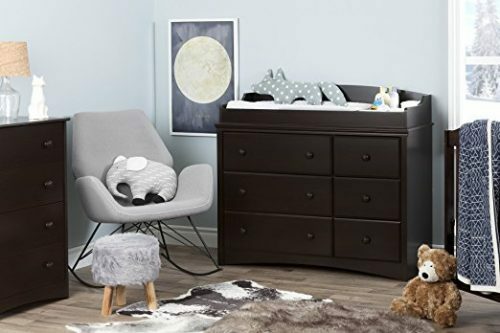 With sturdy wood construction and sleigh design, this changing table features two storage shelves, raised guardrails, and includes a water-resistant changing pad and safety straps. When baby outgrows the length and weight restrictions, this unit can be used as additional storage for books, clothing, toys, or bedding. 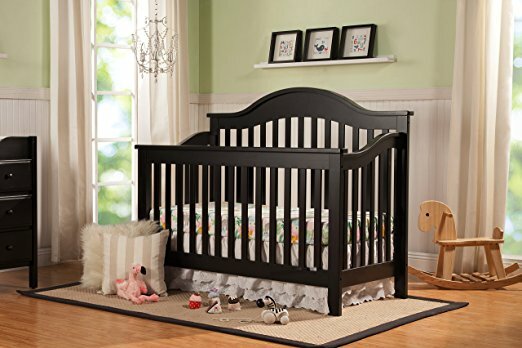 Please read our reviews on the cheap nursery furniture sets to see additional pieces in the Bentley collection!